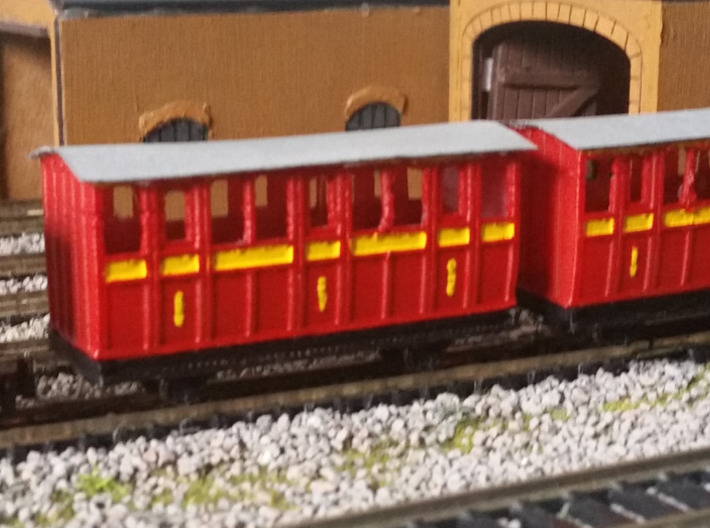 This model is a replica of the coaches seen on the Tallylyn Railway in Wales, upon which the red narrow gauge coaches in the Thomas & Friends TV series were based, except those had an added Number 1 on the doors. 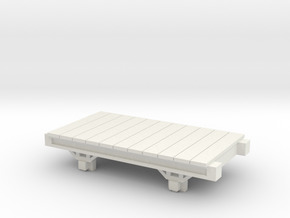 I also sell a version of this coach with the Number 1 if you prefer those. 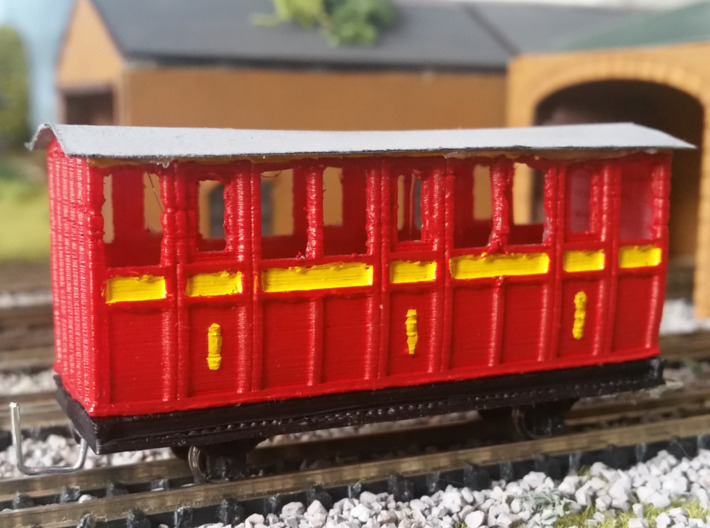 It comes unpainted and with the roof seperate so that you can access the inside of the coach easily. 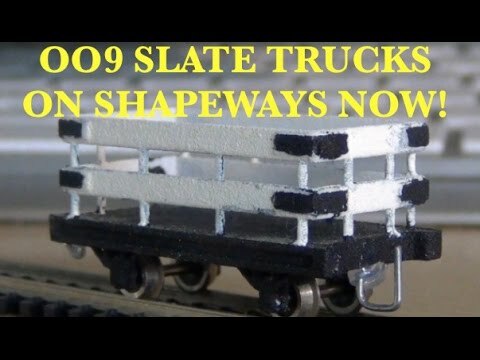 The chassis is the same as my Narrow Gauge Slate Truck's chassis as well as all of my other narrow gauge rolling stock, and details about which wheels can be used can be found in this video: https://www.youtube.com/watch?v=f9BqxAVdCQQ . PLEASE NOTE: The coaches in the photos on this page were printed by my own cheap 3D printer, so hey are not nearly as good and smooth as what Shapeways will print for you. 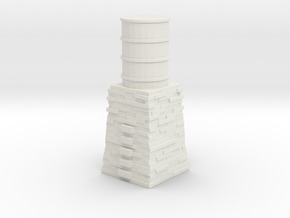 Please do not judge them by those poor prints. 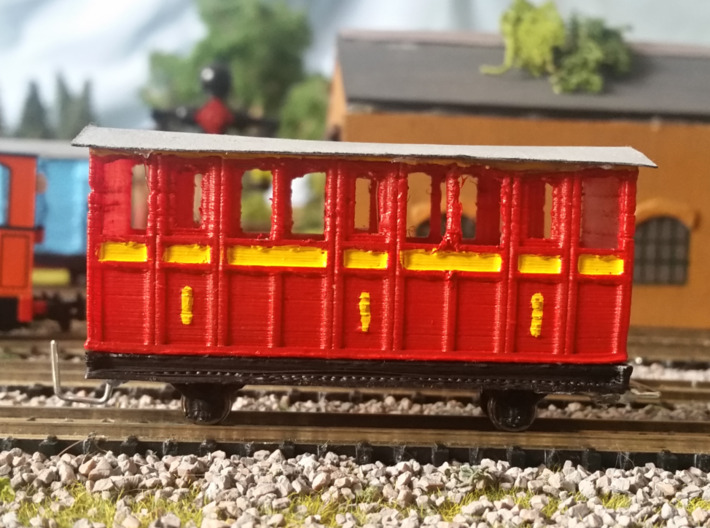 The paintjob also was shoddily done by me. 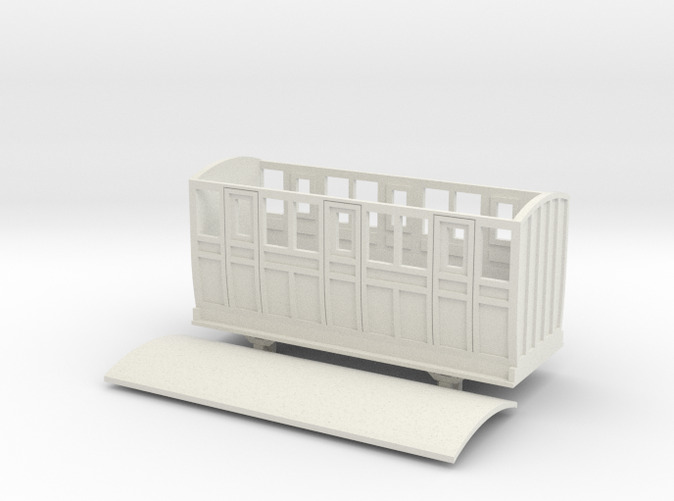 I also have three different kinds of coaches avaliable on my store, as well as many other narrow gauge rolling stock and other items for OO, HO, N and 009 scales. 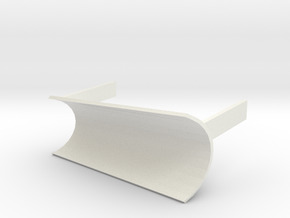 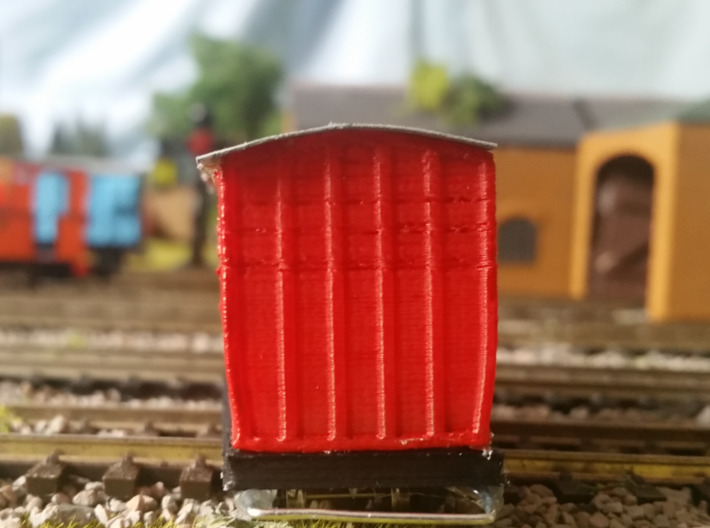 If you have any questions about this coach or any of my other products, please contact me through Shapeways, Twitter (@ElsbridgeP), Instagram (@elsbridgeproductions), or email (elsbridgeproductions@gmail.com).